How do I know if my court case is an infraction or a criminal case? If the ticket you were issued is green, a parking ticket, or says infraction your case is an infraction. These offenses are civil cases. If the ticket you were issued is yellow, says citation, or the prosecutor filed a complaint your case is generally a criminal offense. 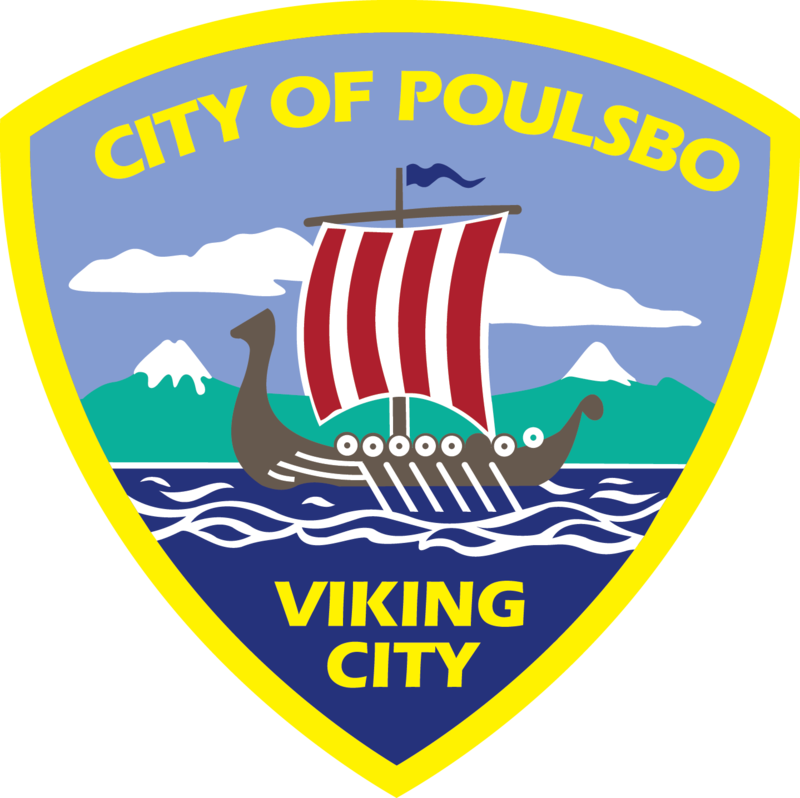 Criminal cases filed in Poulsbo Municipal Court will be misdemeanors and gross misdemeanors. Can I keep my traffic ticket off my driving (Department of Licensing) record? If you have received a traffic infraction, you may be eligible for a Deferred Finding. You may qualify for a Deferred Finding if you have not taken this option on a traffic ticket within the last seven years. Upon successful completion of the deferral conditions your ticket will be dismissed. You may defer only one moving infraction and one non-moving infraction every seven years. The Court does not allow deferrals for these five infractions: Passing a School Bus, Speeding in a School Zone, Speeding in a Construction Zone, Speeding 20 miles over the limit or more, or any infraction where a fatality occurred. The Judge cannot grant a Deferred Finding if you have a commercial driver’s license. You must fill out and return the request for a Deferred Finding (under the forms tab), or request a court hearing, within 15 days from the date your ticket was issued if you want to request a Deferred Finding. What must I do if I receive an infraction ticket? Start by reading the entire front and back of your ticket. If you follow the instructions you can’t go wrong! You should note that you must respond within fifteen (15) days from the date the ticket was issued. An infraction is not a criminal offense, but failure to respond can result in the suspension of your driver’s license. You can respond by either mailing the green ticket to the court or bringing it in person to the court office. Select one of the boxes on the back of the ticket (payment or request for a mitigation or contested hearing) and verify your address. If you have lost your copy of the ticket, the infraction response form is in the forms link. Can I mitigate or contest my ticket by mail instead of appearing in court? You can mitigate or contest your ticket by mail. You should note that you must respond within fifteen (15) days of the date that the ticket was issued. An infraction is not a crime, but failure to respond can result in the suspension of your driver’s license. The form to have your infraction hearing by mail is in the forms link. Be polite and courteous to the Judge, to those around you, and to court personnel. Remove hats upon entering the courtroom, unless hat is religious attire or for medical purposes. Suitable attire is required. Shoes and shirts are necessary. Halter tops, tank tops, and shorts are not permitted. Please turn off pagers and cell phones. No smoking, food or drink will be allowed. Weapons are prohibited in the courtroom and court office areas. Children may be present in the courtroom, but if they disturb the proceedings you may be requested to remove them. The court does not provide child care. Upon your arrival, check in with the Court Security Officer outside of the courtroom. You may have a seat in the courtroom until the session convenes. When your case is called, please come forward and have a seat at the defense table until you are otherwise instructed by the Judge. Do I need to contact the court if my address changes? As long as you have an active case with the court, you are required to notify us of ANY change of mailing address. A mitigation hearing is where you admit you committed the violation, but wish to explain the circumstances of the infraction. To request a mitigation hearing you should check box # two (2). The Judge, depending on the explanation and your record, may adjust the penalty. However, the judge will not dismiss your ticket. As the Court is required to forward all committed traffic tickets to the Department of Licensing, it will appear on your driving record. What is a contested hearing? If you believe you did not commit the violation then you should select box # three (3) and have a contested hearing. Unless you request the officer to be subpoenaed the officer will not be present. The Judge will read the sworn statement of the officer. Then you may testify or present any evidence or witnesses that you wish. If you want to have the officer or any technician present, please advise the court clerk at the time you present your ticket or as soon as possible so the hearing can be appropriately scheduled. (Requests must be made in writing and received in the court office no later than 14 days before your hearing.) As a result of a contested hearing, the penalty may stay the same, be reduced, or the ticket dismissed. In the event you subpoenaed witnesses, you may be required to pay costs incurred by that party. A contested infraction hearing is a civil case and the Judge will decide the case based on the preponderance of the evidence. May I have a lawyer at a contested hearing? You may, at your own expense, have a lawyer appear and represent you at your hearing. If you are represented by counsel, the lawyer is required to file a Notice of Appearance with the court and the Prosecutor prior to the hearing date. If I request a court hearing and later decide to pay my ticket do I have to appear for my court hearing? If you request a court hearing and then decide to pay the ticket, the court clerk will cancel your court hearing upon payment of the ticket or you signing a payment plan. Will a traffic infraction appear on my driving record? When you pay the penalty, mitigate, or if the Judge finds you have committed a traffic infraction at a contested hearing, the state law requires that the infraction be reported to the Department of Licensing. The infraction will then appear on your driving record. Neither the court clerk, nor the Judge, has the authority to keep the infraction off your record. If you win at a contested hearing and the infraction is dismissed, it is not reported to the Department of Licensing and will not appear on your driving record. What if I do not pay my ticket or appear for a hearing? Failure to pay or respond to the ticket within 15 days results in an order that the infraction was committed. If you ask for a hearing and do not appear your payment is due immediately. When an infraction is not paid in a timely manner, a hearing is missed, or you did not respond within the 15 days to request a hearing or make payment arrangements, a $52 late penalty is added to the amount shown on the ticket. Your license may be suspended if the penalty is not paid following a notice to pay the increased penalty, and the account may be assigned to a collection agency. Note: driving on a suspended driver’s license is a criminal offense. What about a no liability insurance ticket? If you receive a ticket for no insurance and you had insurance at the time of the ticket, you may file proof of insurance with the court clerk, pay a $25 administrative fee, the charge will then be dismissed and not go on your driving record. However, you must respond within the 15 day response time. Is there a right to appeal? If you do not win at a contested hearing you have the right to appeal to the Superior Court of Kitsap County. The notice of appeal must be filed within 14 days of the judgment. There will be various appeal costs, payable in advance including a $200 Superior Court filing fee and a $100 appeal bond. If you appeal, the Superior Court will review the record that was made at the Municipal Court, but there will not be a new trial. Appeal instructions and form are under the Forms Tab.e. What if I can't pay my penalty all at once?